For those in the know, the North Bondi R-ey needs no introduction. 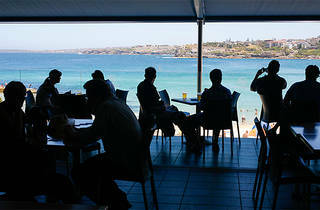 Who wouldn’t want to knock back cheap beers (they're even cheaper for members) on the balcony at North Bondi on a stinking hot sunny afternoon while checking out the crowd on the beachwalk and maybe chowing down on a damn good $9 steak (on Wednesday nights)? You have to sign up as a temporary member to get in, but when you’re in there, take advantage of the prices, particularly when it comes to tap beer and house wine. As you may expect, this place gets packed in summer, but it’s a hidden gem in winter. The deck is sun-drenched all afternoon and so long as you can snare a spot, you can settle in for an afternoon that’s one of the best value in Sydney. 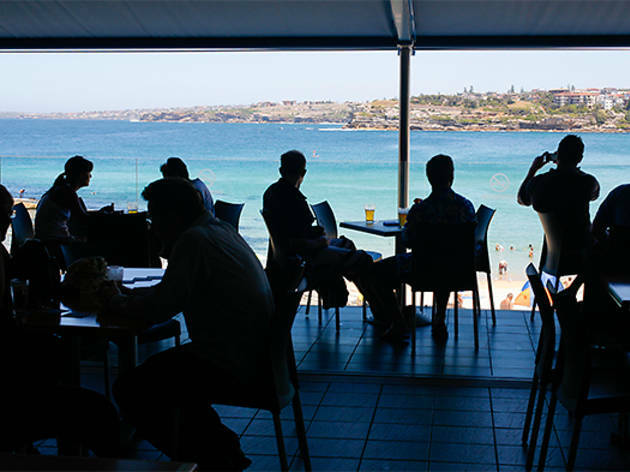 Like all RSLs across our great land, you’ll find a range of themed entertainment on most nights of the week, so check in before heading down to perhaps Bondi’s most underrated watering hole.